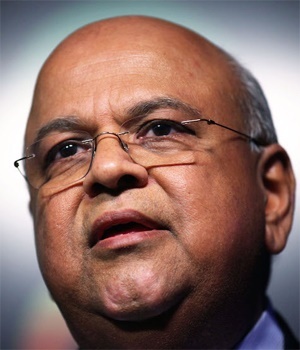 Is Gordhan SA’s knight in shining armour? I HAVE enjoyed reading Alec Hogg’s Davos Diary over the past week. 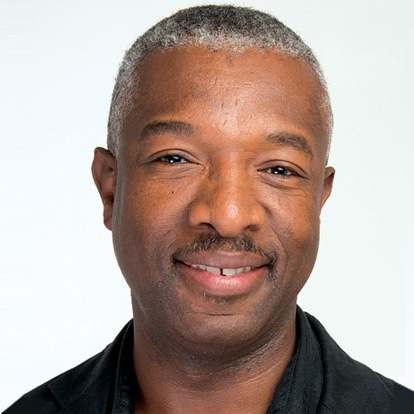 His final letter on Monday was particularly interesting because it touched directly on nation brand and how South Africa is being viewed by potential investors and other influencers. More than ever before, reputation and nation brand image are of great value as South Africa’s political elite – at least going by Hogg’s account of Finance Minister Pravin Gordhan’s assurances to the world in Davos – begins to wake up to the real mess we were placed in by Nenegate. Apart from sharing our views on platforms such as this one, those of us who were left watching helplessly from the sidelines of our political mainstream were of course aware of the fallout. But our collective hands remained tied as we watched those who could have stopped it before it happened fall over themselves, issuing contradictory statements. First, they denied having seen it coming, placing blame squarely at the door of ‘presidential prerogative’; then, as if warned, remembered that their denial would jeopardise their cushy jobs and quickly turned around and proclaimed collective responsibility. Going by the highlights from Davos, which largely confirm what has been said by local commentators over the months, South Africa needs a holistic approach to its woes. One imagines that the esteemed members of the National Planning Commission would be taking notes and ensuring that, despite having a blueprint in the form of the National Development Plan, there is a level of pragmatism in their approach. Let us take a look at some of the major Brand SA reputation wreckers and hurdles to the country’s growth. African leadership often gets accused of making investments for instant, often personal, gratification. They have to be there in person to inaugurate whatever it is they put money into. Investing in long-term projects for the general public good which will only be completed after they are no longer around is not their historic strength. Good examples of such foresight can be seen in the billions of dollars invested by the American space agency NASA when it sends probes into outer space. In many cases, the outcome of such galactic expeditions will only be known many years, even decades, after the probes have been sent into space to possibly discover other planets and, perhaps, even evidence of life on other planets. Usually, the people who facilitated such investments through sheer foresight would no longer be around to inaugurate them in person. Our leaders in South Africa need to start adopting a much more holistic assessment of all the good infrastructure inherited from apartheid South Africa – bridges, roads, water, electricity, railway lines, hospitals, etc – and realistically plan for the country’s medium- to long-term economic growth needs, ensuring that adequate resources and skills are allocated to implementing the plans that get put into place. It is not enough to allocate budgets if the wrong kind of unskilled, ill-experienced and morally bankrupt people get placed in strategic positions to oversee the delivery of such plans. Every aspect of the planning will make or break delivery. The current and ongoing crises regarding water and power shortages did not jump on us without warning. For each one of them, warnings were issued to government before situations became dire, but they were not heeded. In this regard, government officials behaved like reckless road users who decide to enter an intersection, underestimating the speed of an oncoming vehicle until it is too late. It was never a secret that water is a precious resource in South Africa and that we do not have it in unlimited quantities. We should therefore not be asking ourselves, at this late stage, why there are municipalities in parts of the country going without clean running water for days. This is the result of poor planning, poor management, poor prioritisation – or all three of these. The ongoing supply-side management of electricity demand by Eskom, consisting of restrictions imposed on sectors such as mining, is having a negative impact on production and job creation in mining and related sectors. It is good only for political reasons, especially in an election year. However, Brian Molefe will have to let out the fart he’s been holding in for months now and ensure that new build is fast tracked. The current ageing fleet of power plants will become more expensive to maintain, as they’re already known to be too stretched. It is good that Pravin Gordhan has acknowledged Nenegate as a watershed, describing “the crisis [we’re] in as useful for bringing realities into [our] face.” He should now use his powerful position to wake the rest of his government colleagues up – and not just for electoral expediency this year – to get the South African economy focused and working again. We do not need any further signs after the International Monetary Fund’s reduction of South Africa’s economic growth forecast to less than 1%, and rating agencies issuing warning after warning that we’re on the verge of junk status. Government should also place much-needed focus on state-owned entities like the South African Nuclear Energy Corporation, where corporate governance remains hostage to chief executives and directors who seem to believe they are personally untouchable and indispensable in rebuilding project South Africa’s global image.